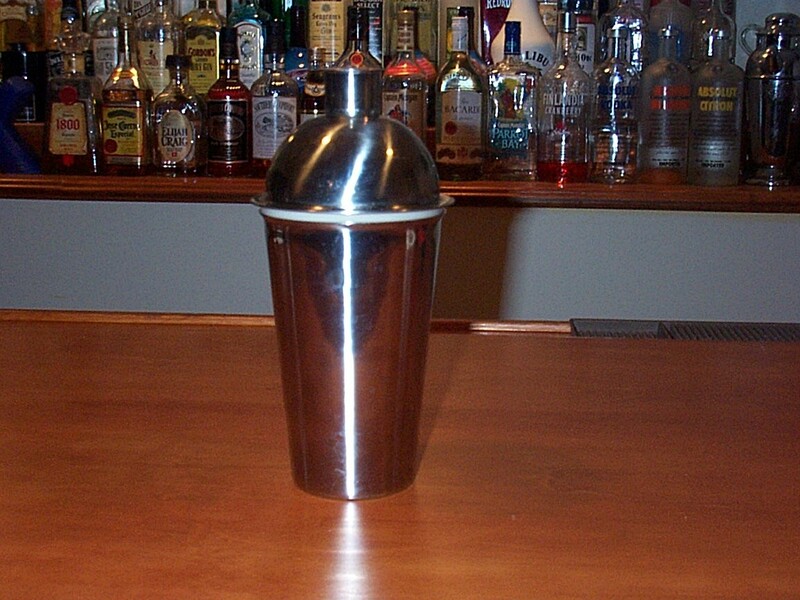 Also called a "cocktail shaker" or "martini shaker", this is the classic shaker. A shaker has three parts: The cup, the top and the cap. Place ice, then the liquids into the cup, place the top and the cap tightly onto the cup, shake (away from the customer!). 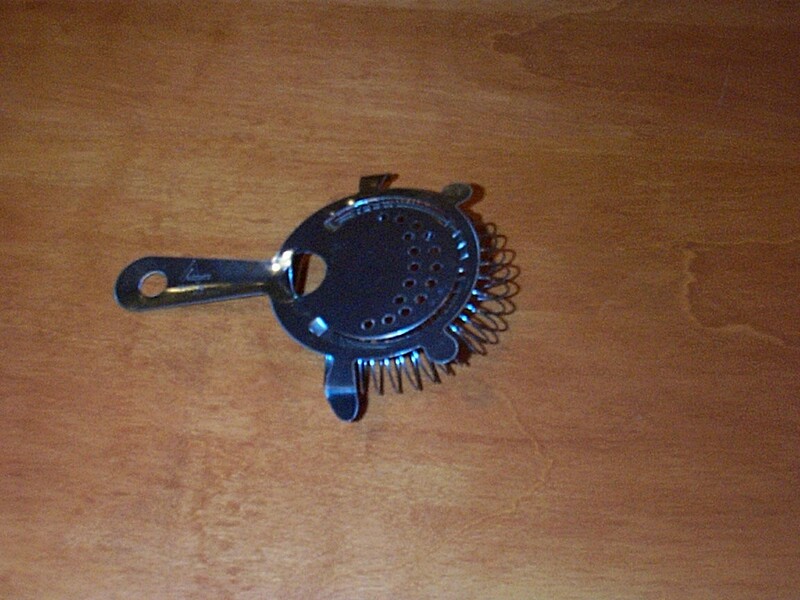 To serve, remove the cap and the top works as a strainer. 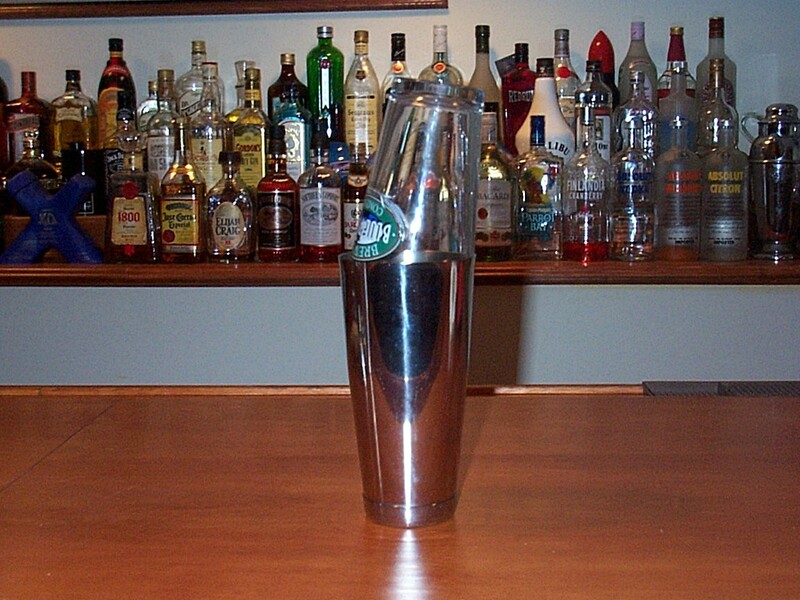 This is a less elegant, but easier, cheaper, and more reliable alternative to the martini shaker. It consists of a metal cup and a pint glass. 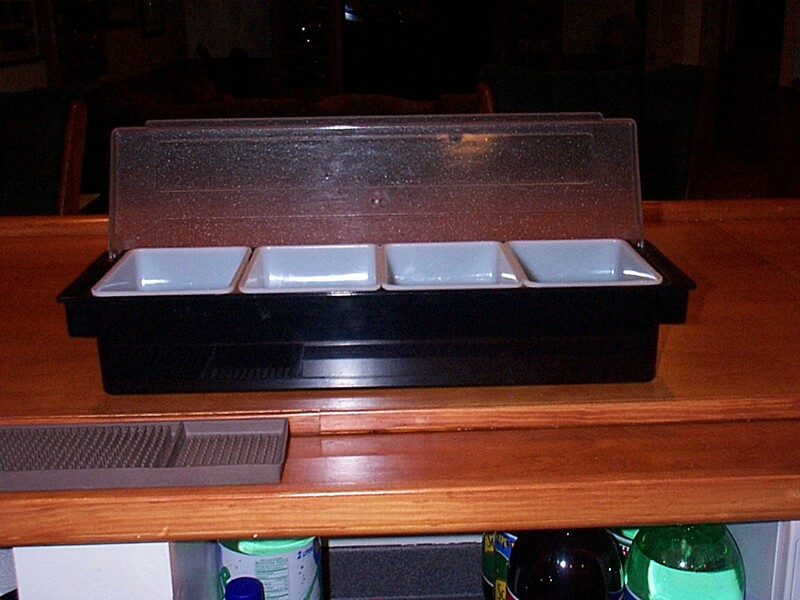 Ice and liquids are placed in the cup and the glass is placed tightly over the cup, forming a seal. Shake, and serve. 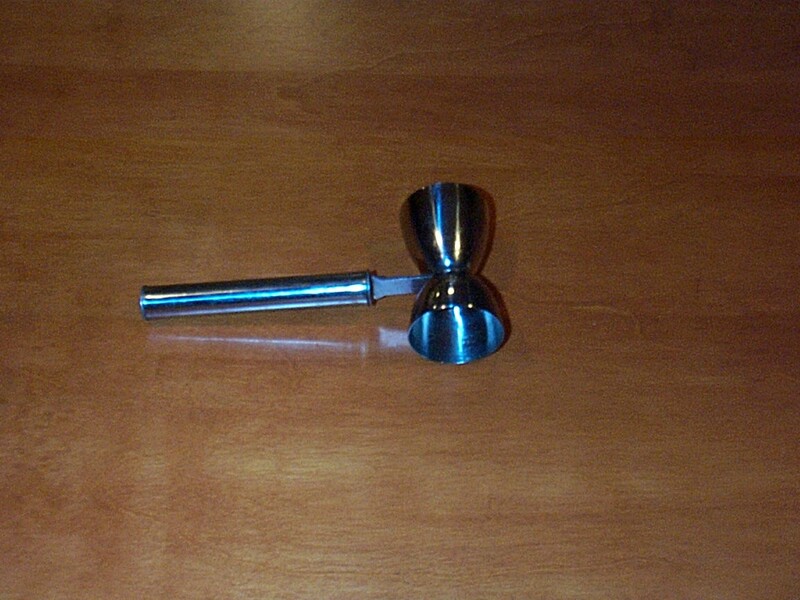 Since a Boston shaker does not have a strainer built in, you can use a separate strainer (shown below). 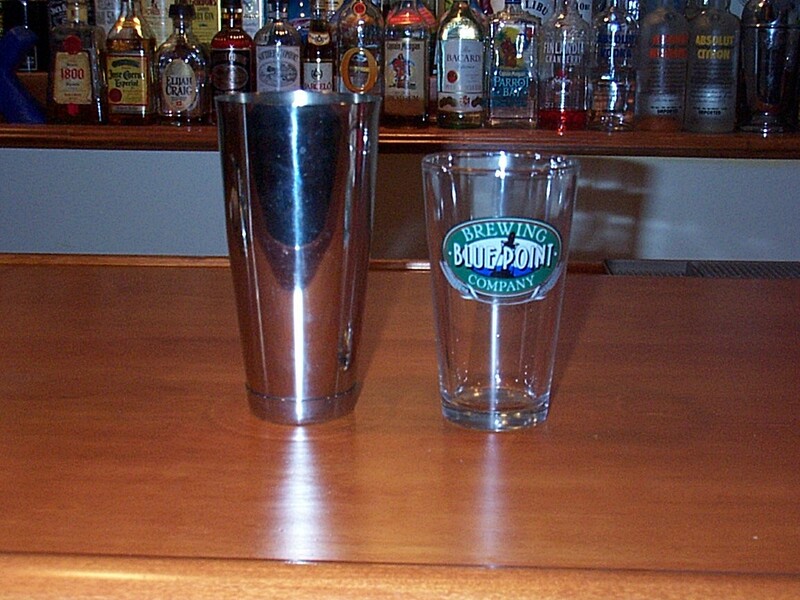 Note: The pint glass used in this photo is from the Blue Point Brewery, Long Island, NY. 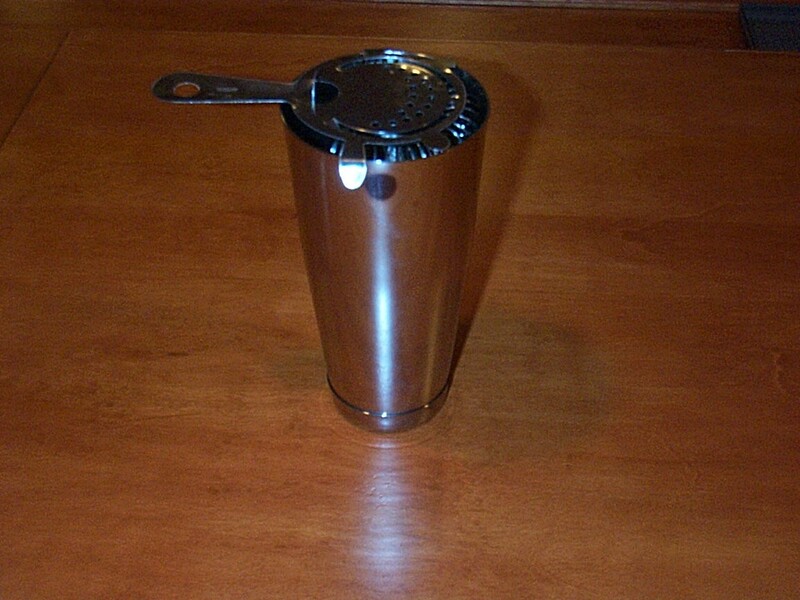 A strainer fits over the top of a Boston shaker or any other glass and is used to strain the ice from a drink after it's been stirred or shaken. The top photo is of the strainer by itself, the bottom is the strainer on a cup. 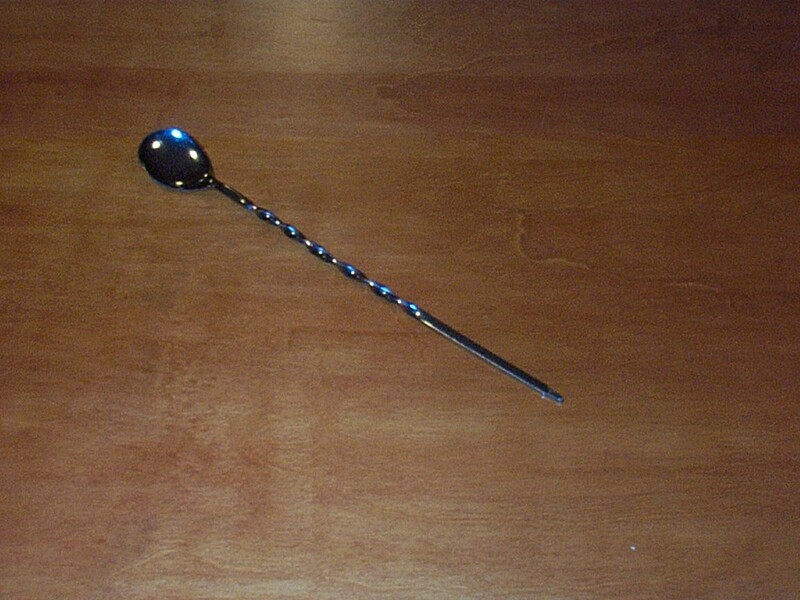 A bar spoon is simply a small spoon with a very long handle. 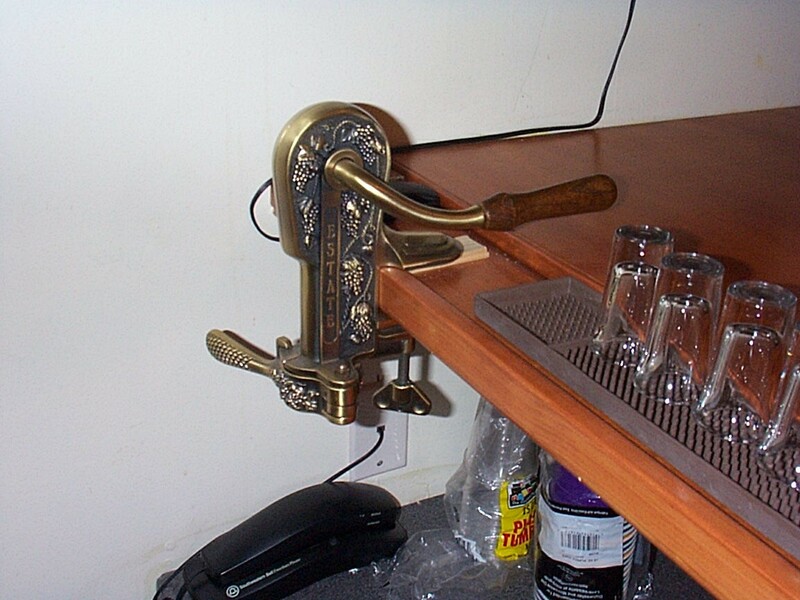 It has many uses behind the bar. It can be used for stirring cocktails of course, but you can also pour a liqueur over the back of the spoon when layering it on top of another liqueur. You can also use it to scrape the bottom of the blender. 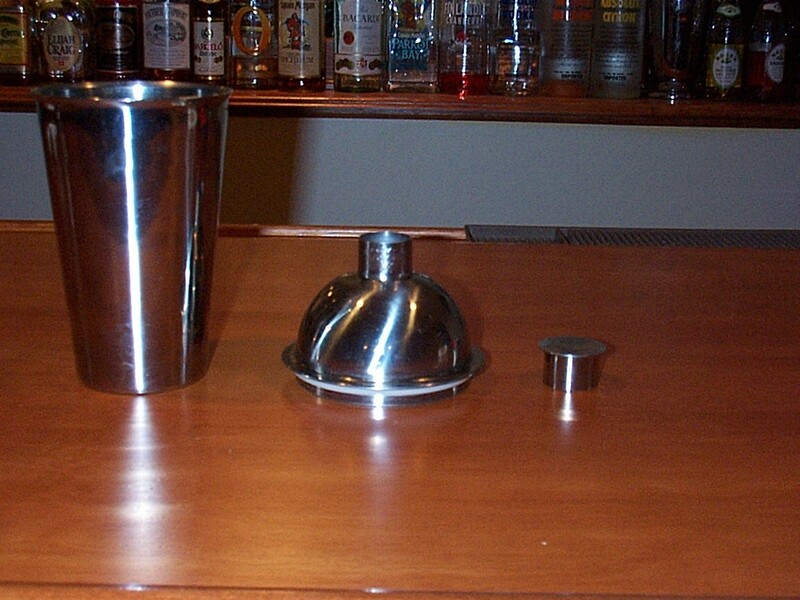 A jigger is simply a measuring device. 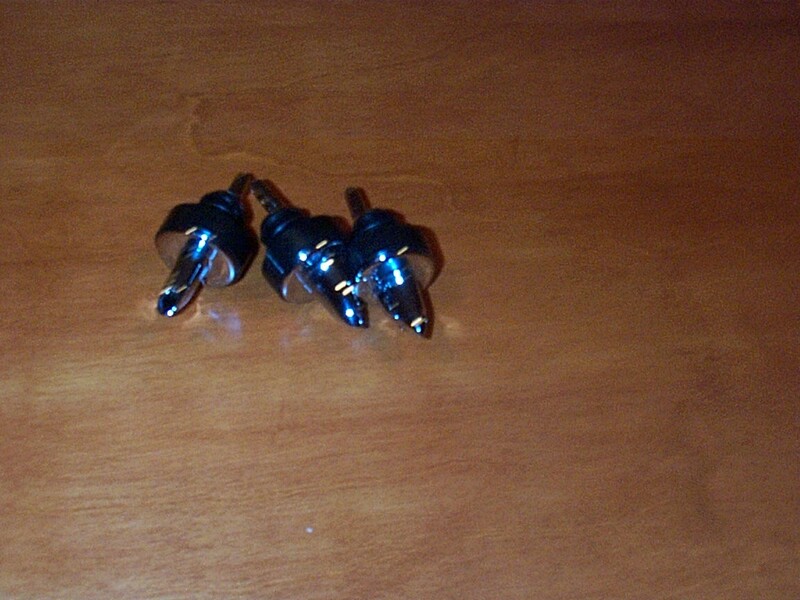 It consists of two metal cups welded bottom to bottom. One is 1.5 ounces (45 ml) and the other is 1 ounce (30 ml). 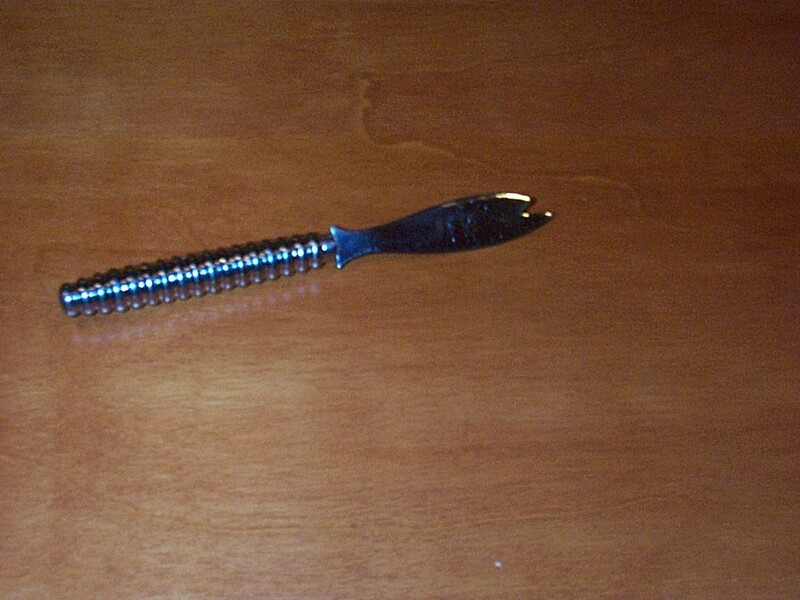 Some fancier jiggers have a handle as does the one pictured. A good, sharp knife is essential for cutting fruit for garnish. The knife pictured also serves as a zester and peeler. It can be used to cut wedges and slices, but this one can also be used to make lemon zest or a lime twist. 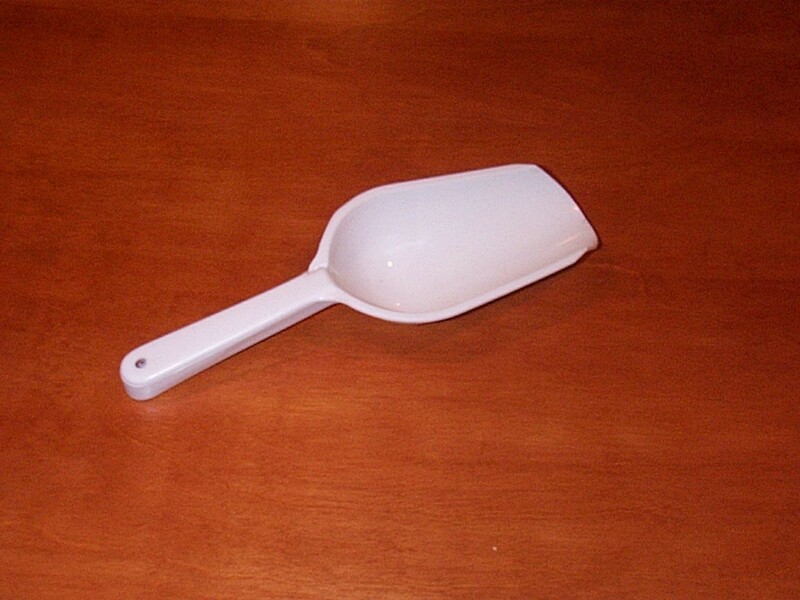 All commercial establishments require the use of a separate scoop for use with ice. There are good reasons for this so even if you're at home, it's wise to use an ice scoop. First, if you use a glass to scoop the ice, you run the risk of chipping the glass - imagine trying to find a glass chip in an ice bin! Second, your hands, used glassware, and any other potentially dirty object should never come in contact with the ice. Ice is legally considered a food so all the handling procedures apply. 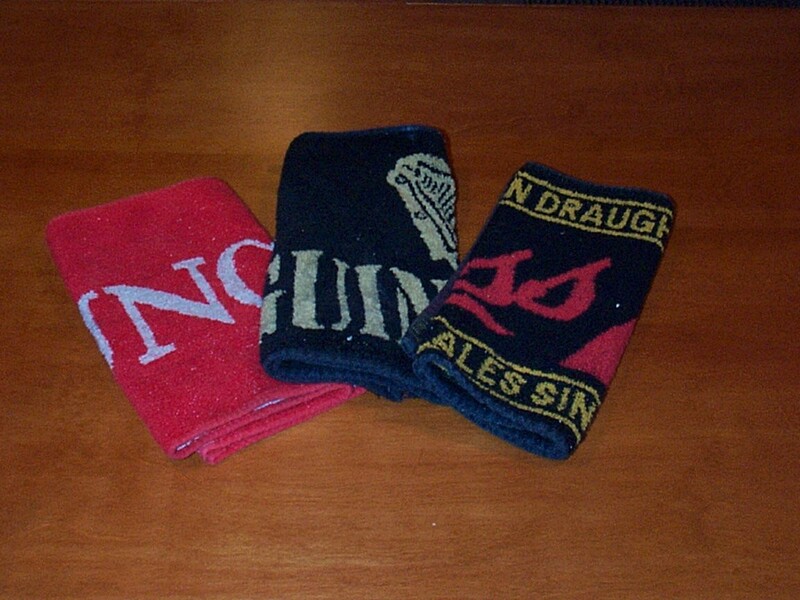 You should always keep at least two bar rags handy to wipe up the inevitable spills and keep the bar clean. 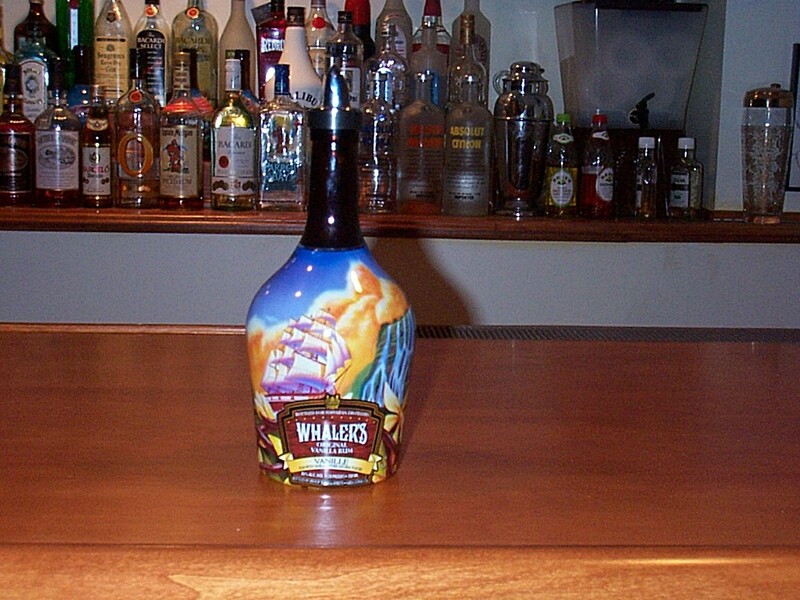 A Liquor Pour is used to control the flow of liquor from the bottle. This helps to prevent under or over pouring. With a little practice a bartender can accurately pour an ounce by using a pourer and counting. Most pourer flow at 1 ounce per second. Another kind of pourer is a "measured pour" where the pour has a built in measurement and stops after that amount. For an example of this, see the Sure Shot pourers by Precision Pour. A nice neat covered tray to keep your lemon slices, lime wedges, orange wheels, and cherries. Also know as spill stops, these are great for pouring shots. 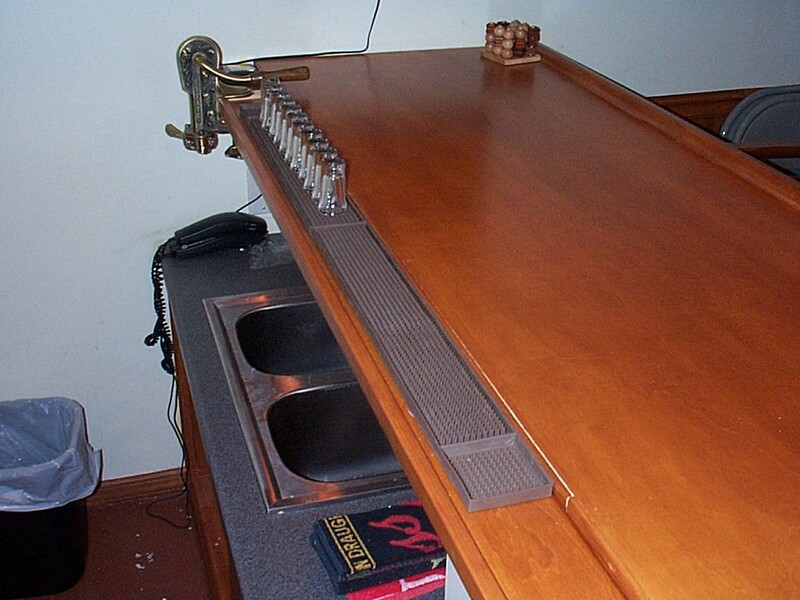 The mat traps the spillage and keeps the bar neat. Just don't forget to empty the mats and wash them. Any bar that serves wine should have a wine opener. Anything will do, from a simple corkscrew, to the fancy "estate" wine opener shown. The most popular is the "waiter's corkscrew" which is small, easy to use, and folds up so it can be kept in a pocket. 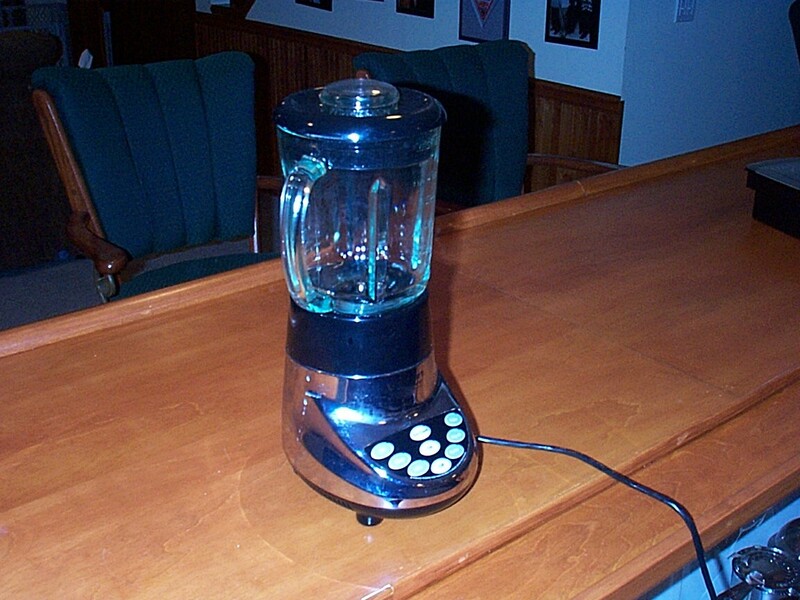 What bar would be complete without a blender for those fancy frozen drinks? A heavy duty, multi speed blender is a good choice.